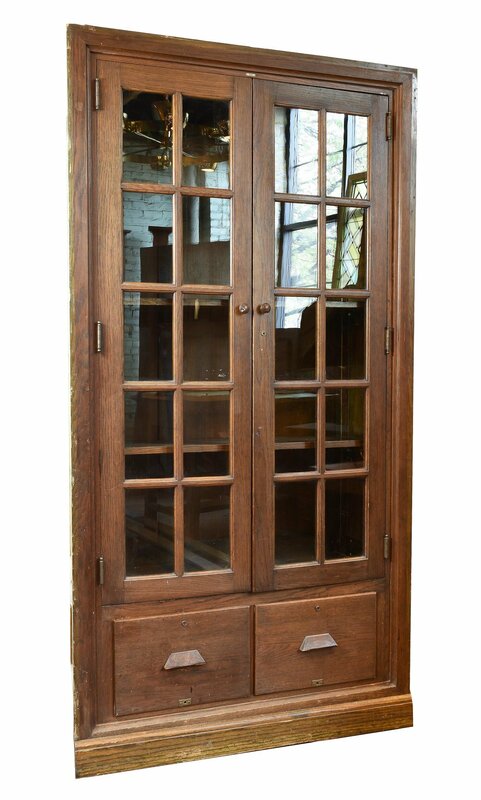 This built-in stained fumed oak school room cabinet features lots of storage space with French (19.75"W x 54"T) divided light doors and a pair (16.5”W x 11.25”T) of lower drawers! They all have their original hardware (ball tip hinges & turned knobs). 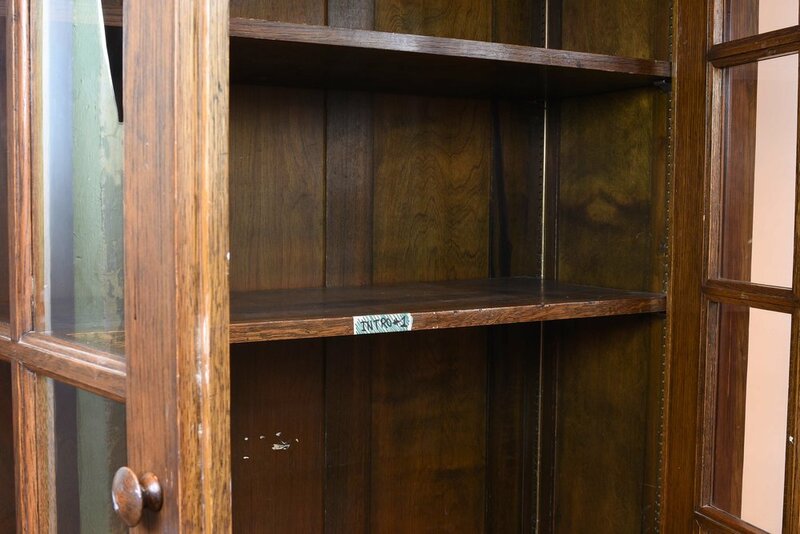 *Two cabinets available; sold separately. Be sure to include the Product ID (AA#47028) when making your offer.